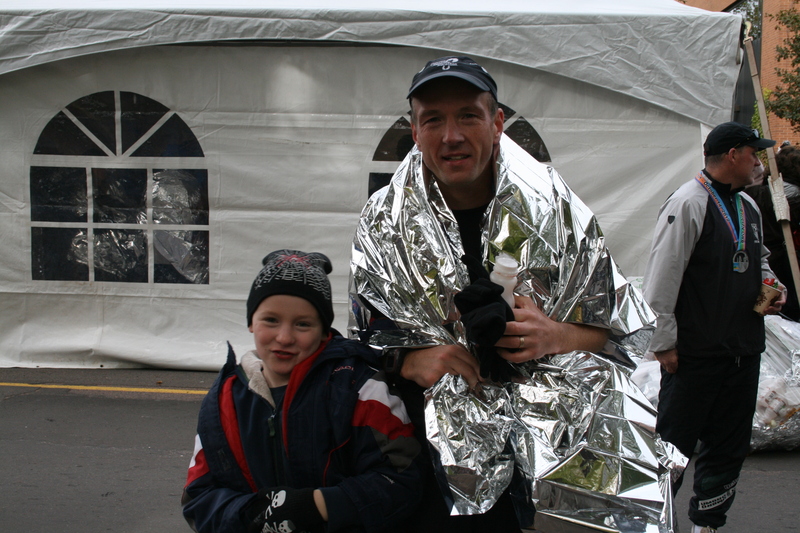 But in 2007, Faith Ann purchased a treadmill and it lit a small spark for Trevor, one that grew a year later when his friend Drew Allaby suggested to him he should run the Fredericton Fall Classic’s 10 kilometre race. The rest, as the old cliché goes, is history. “I enjoyed the race so much that I was hooked on running and racing,” said Trevor, who recently qualified for the 2016 Boston Marathon, achieving a major personal goal. “For me, depending on my mood or what is happening in my life, running can provide a way to spend some time alone with my thoughts, to socialize with others, to work hard, or even to relax,” said Trevor, now 47 and an information technology manager with the Province of New Brunswick. Over time, he’s developed an affinity for the marathon distance. In addition to area events, he’s taken part in 42.2-kilometre races in Maine, Houston, Arizona and Napa Valley, California. His marathon total stands at 12, beginning in 2009, when, with the help of veteran Mike Power of St. Andrews, he crossed the finish line in 3:56.01. Trevor MacDonald of Hanwell started running regularly in 2007 and recently qualified for the Boston Marathon, Photo submitted. From that point, he took part in one or two marathons per year until he was ready for a run at qualifying for Boston. An injury sidetracked that pursuit until this year. When he completed the Houston Marathon in January in a swift 3:26, he knew he was close to his Boston qualifying standard of 3:25. “Building on that momentum, and with the help of training partners, I was finally able to qualify for Boston, running a 3:22:20 at the Fredericton Marathon in May,” he said. While marathon running and training consumes a great deal of his recreational focus, he recently completed another challenging goal, this one with a decided social component through team interaction. Not surprisingly, MacDonald highly endorses his annual journey to the Cabot Trail Relay – a 17-leg event with segments of various lengths and difficulty through the peaks and valleys of picturesque Cape Breton. “It is my favourite running experience, and my favourite weekend of each year,” he said. 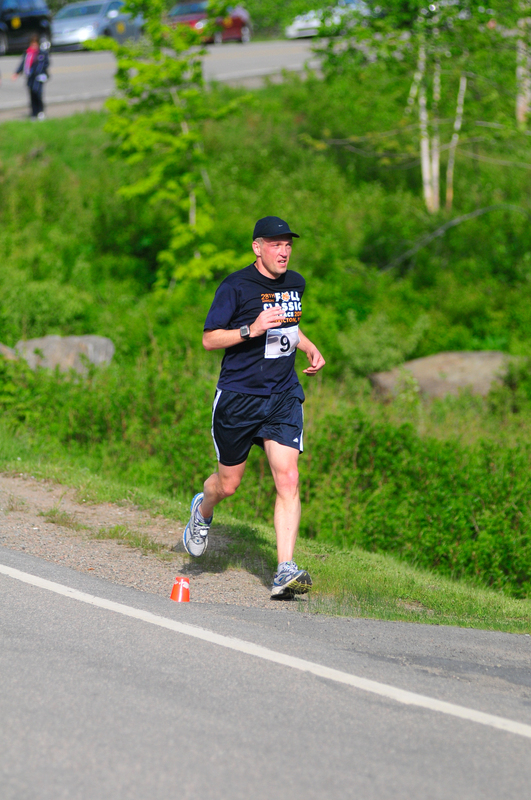 It is a May trek he’s made for the past seven years, including recent duty as captain of the Fredericton Trailmasters, a masters entry (all runners are 40 years of age or older). This year, the Trailmasters finished 11th of the 70 teams and won their division. “I recommend every runner attend at least once, as it combines camaraderie, little sleep, some disorganization, unpredictable weather, and a wonderful weekend,” he said. In the past decade, running has morphed into a regular routine for Trevor, who gets out between five and six days per week. He remains appreciative that he can tackle the challenges he puts in front of himself. “On occasions where I am sick or injured and unable to run, it reminds me how much I miss it and what an important role it plays in my life,” he said. Kevin Barrett Column appears every other Saturday. If you have a suggestion for a feature story, email him at kevinbarrett16@gmail.com or visit barrettkevin.wordpress.com. Posted on June 28, 2015 by Kevin Barrett	• This entry was posted in Cape Breton, Fredericton Marathon, Looking back, running, Running Whys and tagged Boston, Cabot Trail Relay, Fredericton, Marathons, treadmill, Trevor MacDonald. Bookmark the permalink.